The success of Natto making was due principally to the two ingredients I bought in Japan: (1) Organic soybeans (2kg) and (2) Bacillus Natto (which facilitates fermentation of 10kg of soybeans). That is, if I consume Natto I made every day (50g), it will last only for 40 days, and if I live longer than that period, I would have to find alternative. In Nouakchott (capital of Mauritania), there are two Chinese gardens which sell vegetables, and one of which sells Tofu, Asian ingredient I am really fond of. In fact, this Chinese garden is the only place I can practice my Chinese language, and every time I go buy Tofu, I ask “Do you have Tofu today? 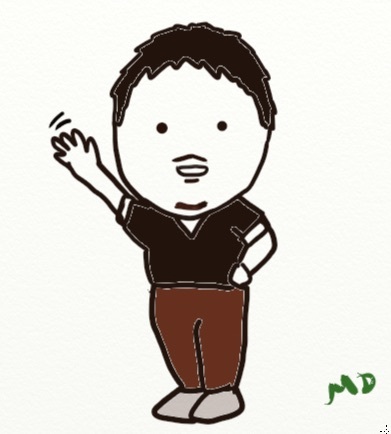 → Yes we have/ No we don’t” as there is few Tofu available compared to a number of people who want to buy it. Anyway, I asked myself one day, if they sell Tofu (which is another product of fermented soybeans), it means they must have soybeans somewhere (egg or chicken). However, as I did not know how to say soybeans in Chinese, I just expressed beans with my gesture and pointed out Tofu, as if they were the brothers or something similar. And luckily they understood immediately and brought some soybeans. Besides, the price is much cheaper (100 MRU (2.8 USD) /1kg) than Japanese organic one (1,500 JPY (13 USD) / 1kg). I thought if this Chinese soybeans work well, that would be magnificent for the sustainability. Although bacillus Natto I bought in Japan allows to make 10kg of Natto, it will reach an end one day. 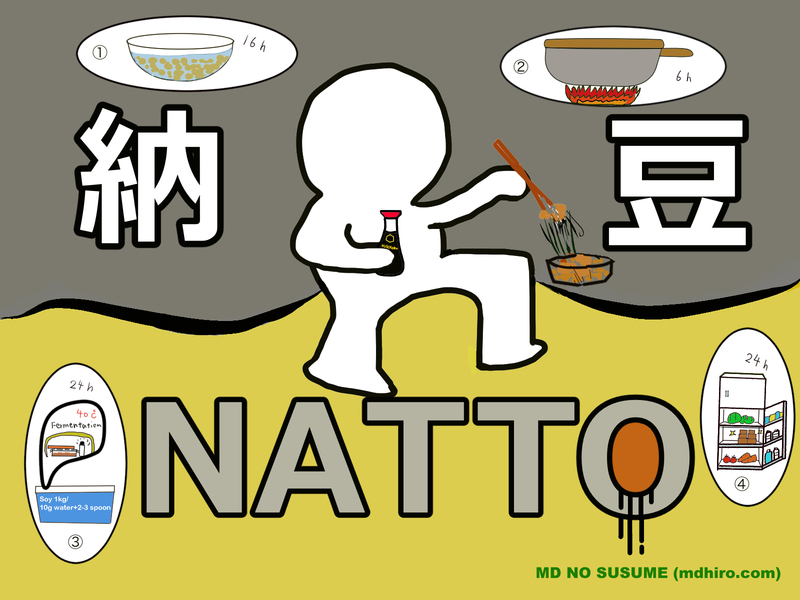 By analyzing the process of Natto making (which can use Natto in the supermarket), I wondered if the one I made and froze could be used for fermentation or not. To clarify the alternative of limited resources (soybeans and bacillus Natto), I decided to carry out experiment of 4 different process, by using Japanese and Chinese soybeans, and for fermentation bacillus Natto and defrosted Natto I made, as is shown in the below table. If ④ works out, Natto making in Mauritania becomes totally sustainable (without needs of Japanese resources). As mentioned in the previous entry, the process of Natto making took me whole 3 days. However, as I highlighted in another post, I bought a pressure cooker which could save time (8-16 times). Therefore, this experiment deals with not only 4 different process but also the trial of pressure cooker, which makes double experiment! As 1 image is equivalent of or shows more than 1,000 words, let’s see the following 2 images with different process (for the detail of each step, please see here). In terms of the pressure cooker, although there was small problem, I could save more than 5 hours thanks to it. And now, the results of 4 different process are as follows. From that moment on, my vision of Mauritanian life become much more enjoyable, thanks to the sustainable process of Natto making. 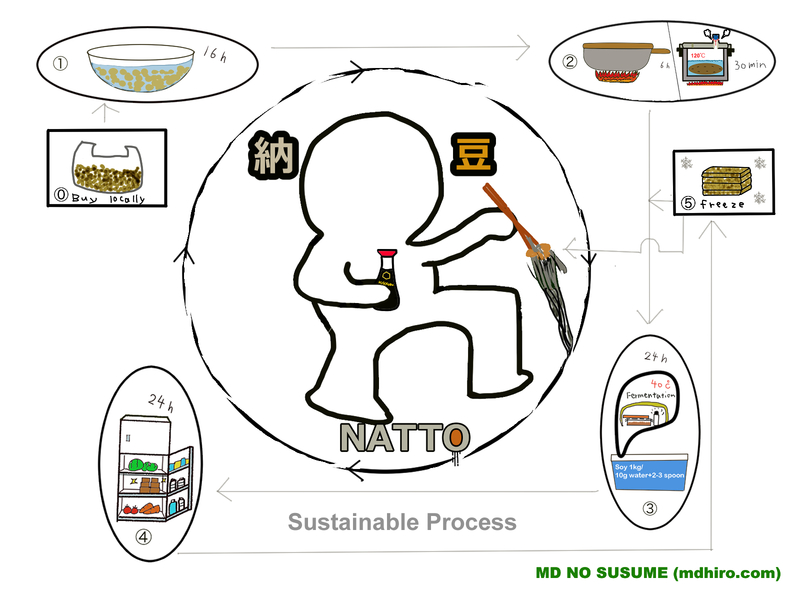 The importance of finding a sustainable way must be highlighted not only for Natto making, but also for any kind of project, learning, and activities in the life to feel happy in a continuous fashion. Through Natto making and use of pressure cooker for the first time, as well as discovery of local Chinese soybeans and experiment with defrosted Natto, I managed to find a sustainable process, which will contribute to the happiness.